Organic milk Farm built on four generations of craftsmanship. Mads Helms strongly believes in organic dairy, he's the fourth generation of the Sommerbjerg Farm established by his great grandfather in 1884. Solid, trustworthy and ensuring you full traceability of high-quality organic milk that you can trust. No compromises. Keeping a rich and fresh organic taste. From the moment when the cow is carefully milked at our own organic farms in Denmark to where you pick up your favorite choice of milk. All Sommerbjerg milk is organic. From cows roaming outdoor freely and majestically. 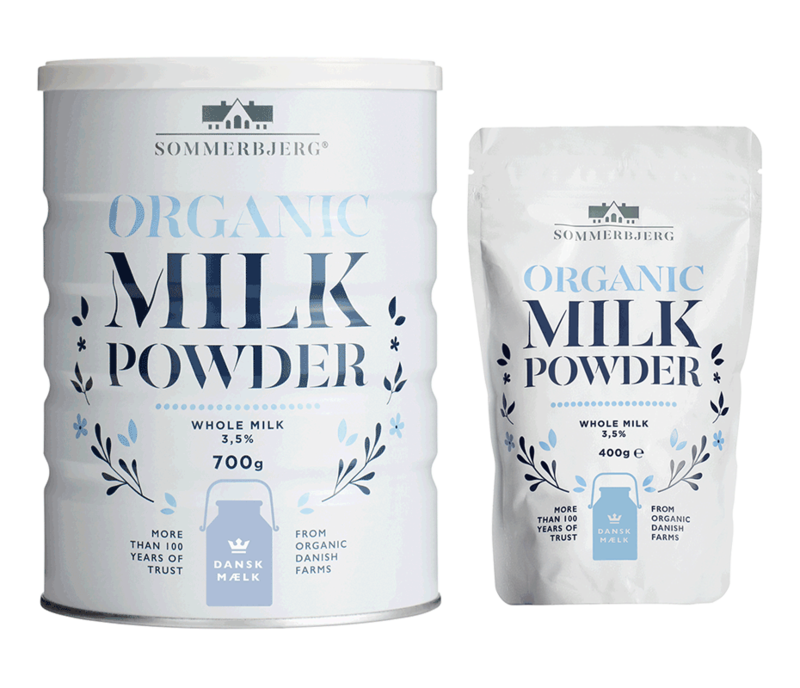 Sommerbjerg milk powders from fresh organic milk and with the strictest control for food safety and traceability. ‘As a pregnant mother I cared much about everything that would go into me and my baby. Joy and worry coexist when you are expecting your child. Your really want to give yourself and the new life the safest and purest nutrition. Out of the respect to life, I choose organic products and to be an organic mom. This also to share my values on the importance of animal welfare and sustainable production for respecting every life on Earth. My name is Ingeborg and I am the mother of 3 strong sons being the 4th generation of Sommerbjerg organic farm in Denmark’. We would love to welcome you at the Dairy or at Sommerbjerg organic Farm. No matter if you are a consumer group or business partner feel free to contact us at info@sommerbjerg.com for planning a visit.